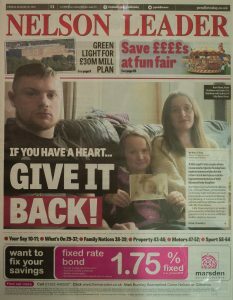 Get the latest news, comment, what’s on, sport and more from the local newspaper. Weekly local newspapers are recorded on a single USB stick by 4 teams of readers. There are two tracks each of which is 45 minutes long. It is recorded on Thursday evenings, copied on Friday morning, and taken to the sorting office after it has been copied. 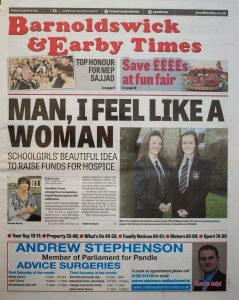 Local news from Baroldswick and Pendle including comment, whats on, sport and more. There are two tracks each of which is 45 minutes long. It is read on Fridays by 4 teams of readers, in their own homes. It is sent to our studio in Nelson over the internet, where it is copied on Monday morning and taken to the sorting office after it has been copied. 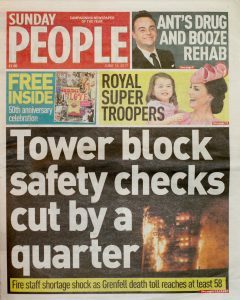 The Sunday People was founded in 1881 and it is one of the UK’s oldest weekly newspapers. Lots of news views, gossip, sport and pictures. It is recorded by two volunteers early on Monday morning on two 45 minute tracks, copied at Monday lunchtime, and taken to the sorting office straight after lunch. A magazine packed full of inspiring, helpful and useful ideas for women who are at the heart of their homes and families. 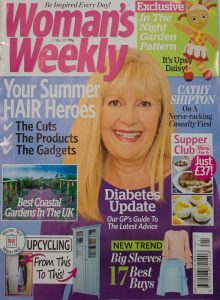 Packed full of receipes, the latest health news, entertainment, short stories and absorbing real life stories. It is recorded on Wednesdays, on two 45 minute tracks and read by four readers on a rota. It is copied and posted out on Monday’s. 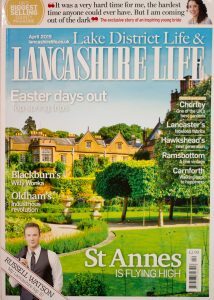 Things to do in Lancashire and The Lake District, including articles about events, places to go out and about, interviews, food and drink. It is recorded by a reader working in her own home, on two 45 minute tracks and it is sent to us over the internet to be copied in our studio. We aim to post it out by the end of the month. Celebrate Yorkshire every month. 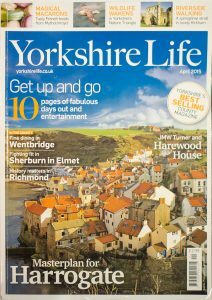 Read about things to do, events, homes and interiors, places to go out and about, interviews, real life stories and local producers of food and drink. It is recorded in our studio by two readers on two 45 minute tracks. We aim to send it out as near to the end of the month as we can. 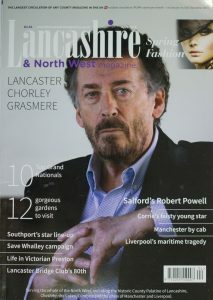 Lancashire Magazine has been around for 40 years, publishing content about everywhere and everything Lancashire. Featuring articles about places, people and events from around the region. The county never ceases to surprise. It is recorded in our studio by two readers on two 45 minute tracks. We aim to send it out by the end of the month. 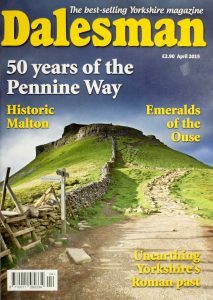 Described as Yorkshire’s favourite magazine which contains fascinating and thought provoking stories about the people and places that make the UK’s largest county so unique. This is recorded by a reader working in her own home on four 45 minute tracks, and sent over the internet to be copied and posted out from our studio. We aim to send it out by the end of the month. 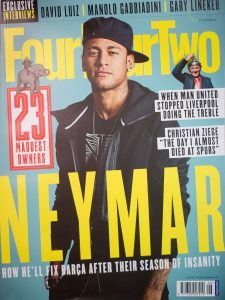 The latest football news and features, including transfer news, in depth analysis, talent spotter and tactical and statistical analysis. It is recorded on four 45 minute tracks by a reader who lives in Scotland and sent over the internet to be copied and posted out from the studio. This is normally posted out by the third week of the month.